This past summer we went on vacation with my wife's family to the beach and had a fabulous time! 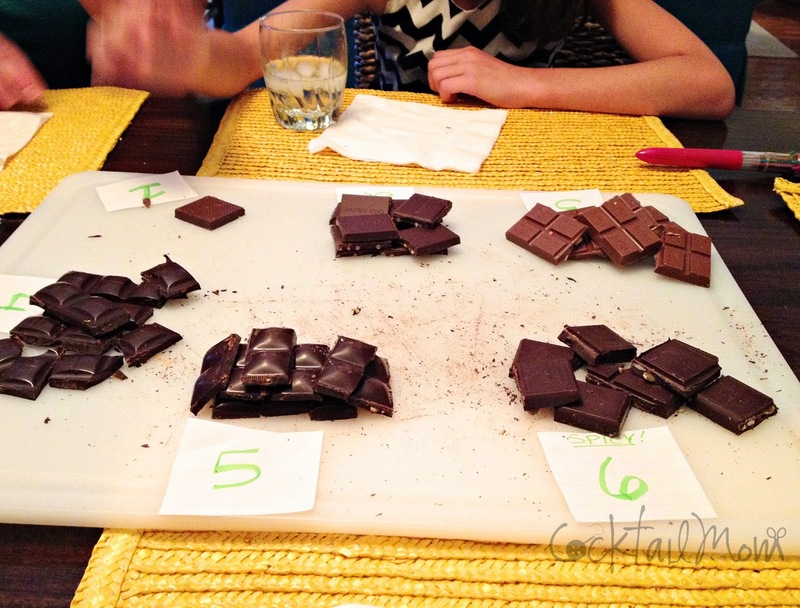 I wanted to surprise everyone with a special dessert night- a chocolate tasting! I decided that I wanted to do a blind tasting for the adults and the kids separately. For the adults I purchased six, various brands of chocolate bars that were truly unique. The kind of chocolate bars that I would never purchase for myself because I deem them too expensive or so unusual that I don't know if I want to commit to eating an entire bar. Among them were peanut butter and banana, orange peel, candied rose petals, spicy red peppers and quinoa! I cut each bar into bit sized pieces and placed on a cutting board with a number next to it. We sat around the table and tried a bite of each chocolate one at a time, everyone tried to guess what it was that was unique about that chocolate bar, what flavor was standing out to them and which one was the best. The overall process took some time but it was a lot of fun to hear the unique ideas of ingredients and made for some interesting conversation. We made sure to drink water or wine between each numbered piece of chocolate to cleanse our palates. For the kids chocolate tasting I purchased three different brands of milk chocolate that happened to be made in various locations around the world. A Hershey's bar from the United States, Cadbury from London and an Israel milk chocolate bar. For the kids they tried a bite of each chocolate bar and then voted on which one tasted the best. 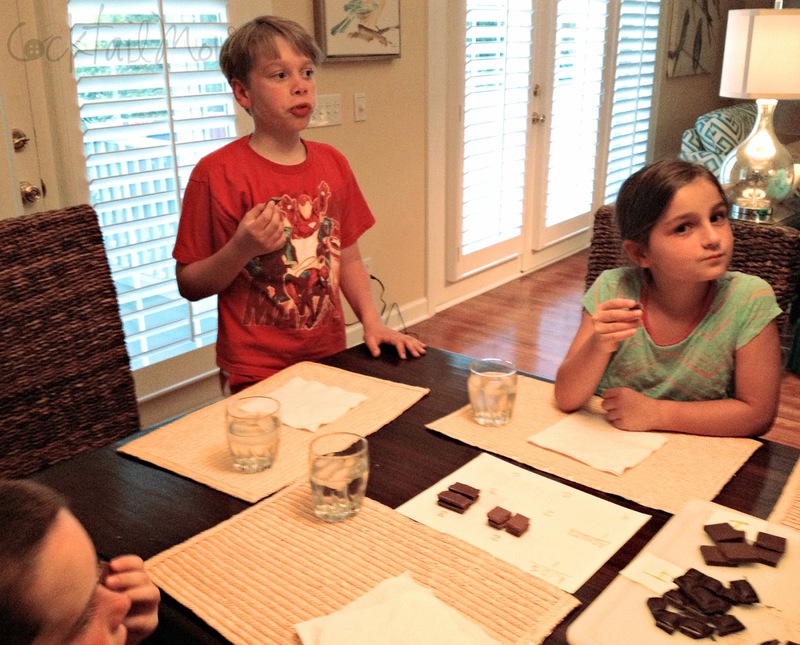 Try hosting a chocolate bar tasting with your family this holiday season and see what flavor is crowned the winner!